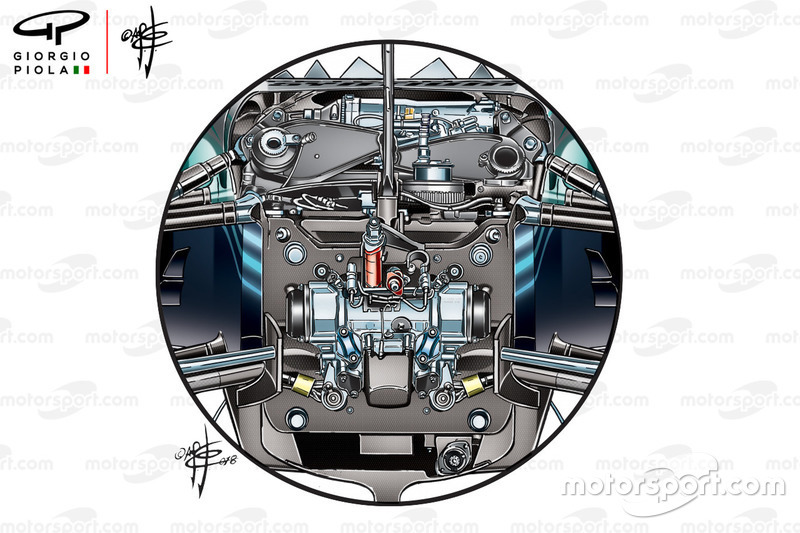 Mercedes' season got off to a slow start, as the team grappled with another, at times, temperamental machine. 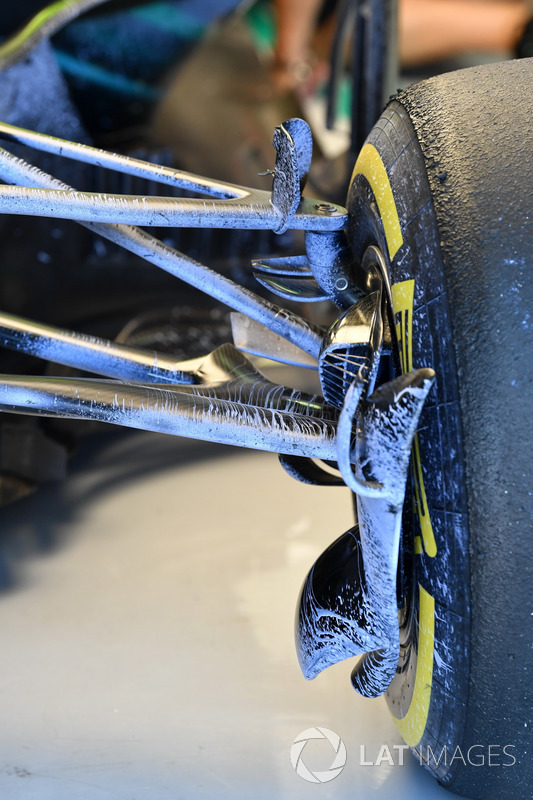 Forced on to the backfoot by a fast-starting Ferrari, and unable to get the best from the tyres, the team took its time and set about rectifying deficiencies without panic. 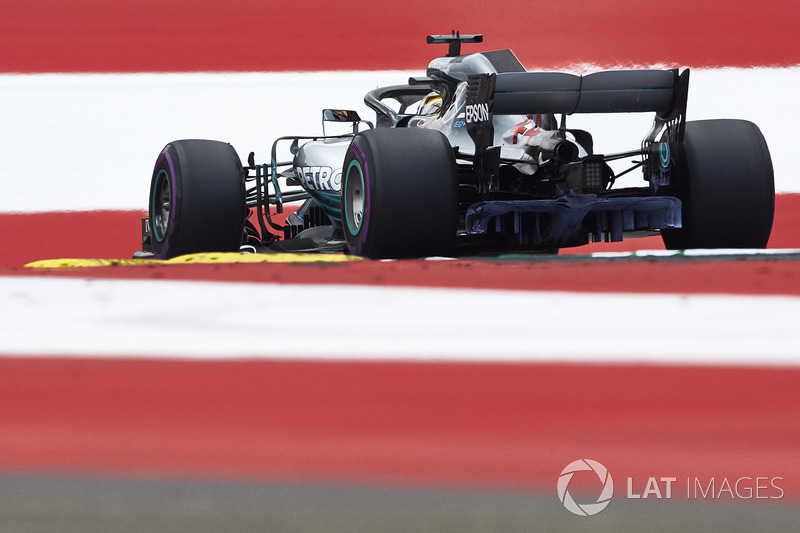 As the season progressed, developments arrived, tyre knowledge was gained and Mercedes settled into a rhythm that would eventually upset their title rival’s charge, allowing it to press home the advantage in style over the closing stages. 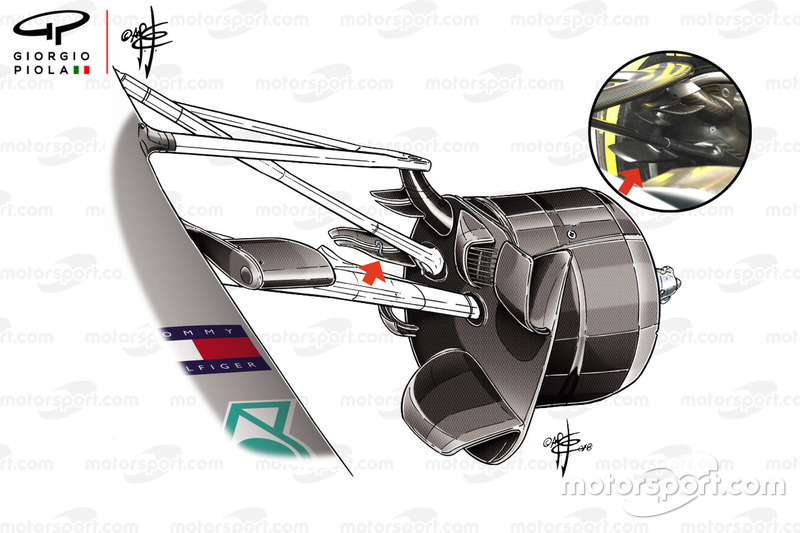 The front brake duct, with its various winglets to alter the wake generated by the tyre and condition airflow passing by. 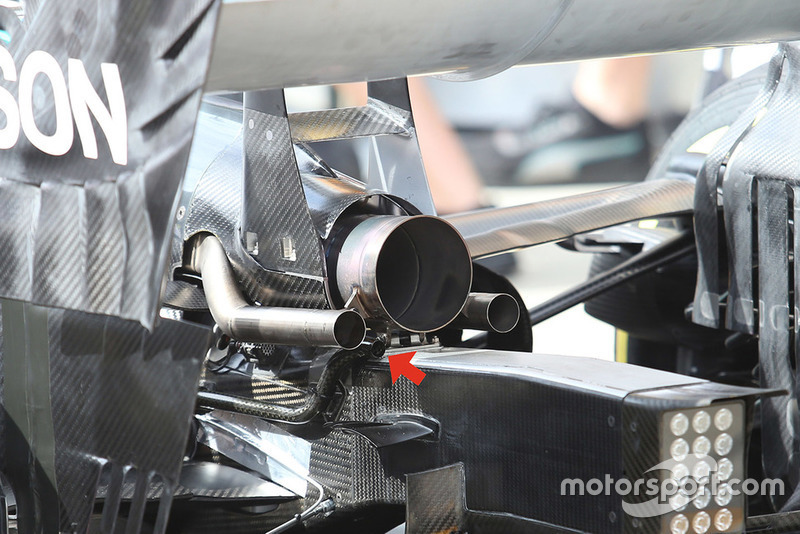 Also note the wire placed ahead of the inlet, in order that debris is not caught up inside the pipework and potentially cause the brakes to overheat. 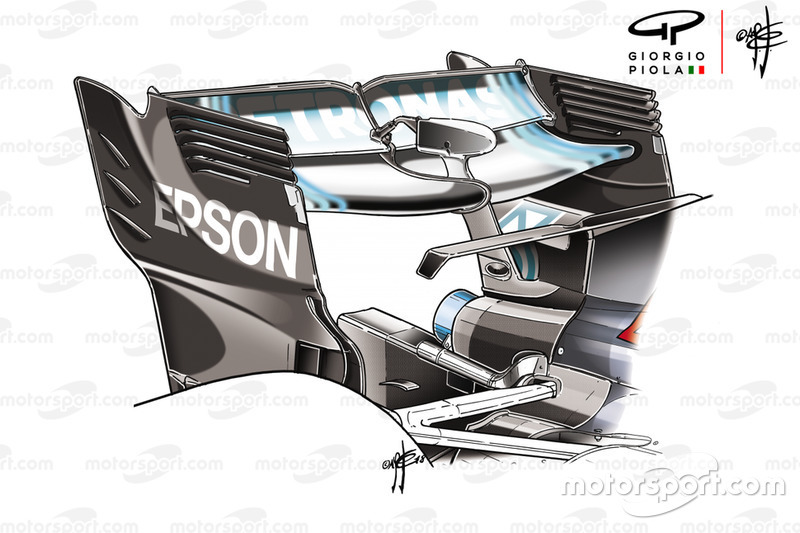 A nice top-down, rear-quarter view of the bargeboard region. Nice view of the gull-winglet under the chassis and the vertical upstands mounted atop the serrated bargeboard footplates. 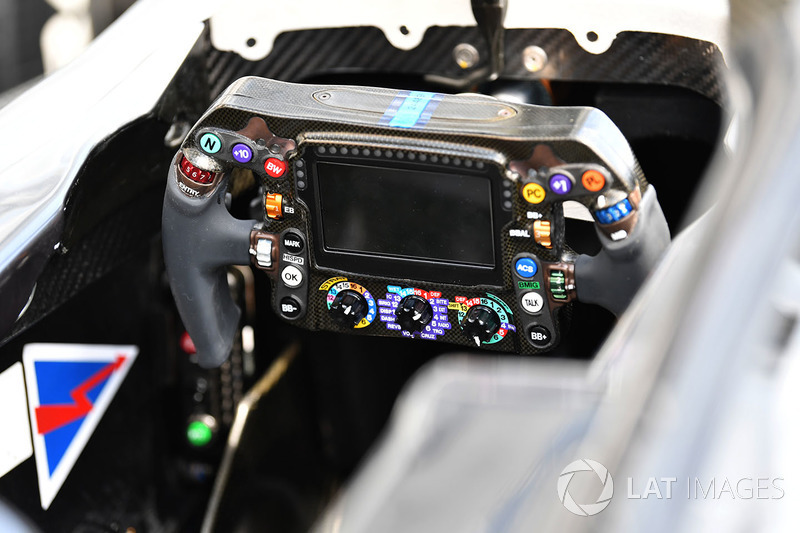 A great view into the W09’s cockpit and steering wheel, with its various buttons, toggles and rotaries for making changes to the power unit. 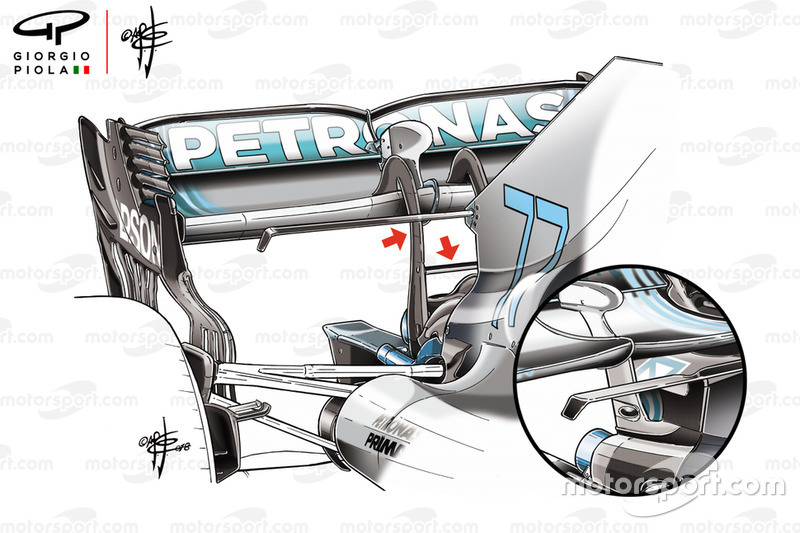 An overview of the W09’s floor area ahead of the rear wheels, with the various angled fully enclosed holes placed in it. 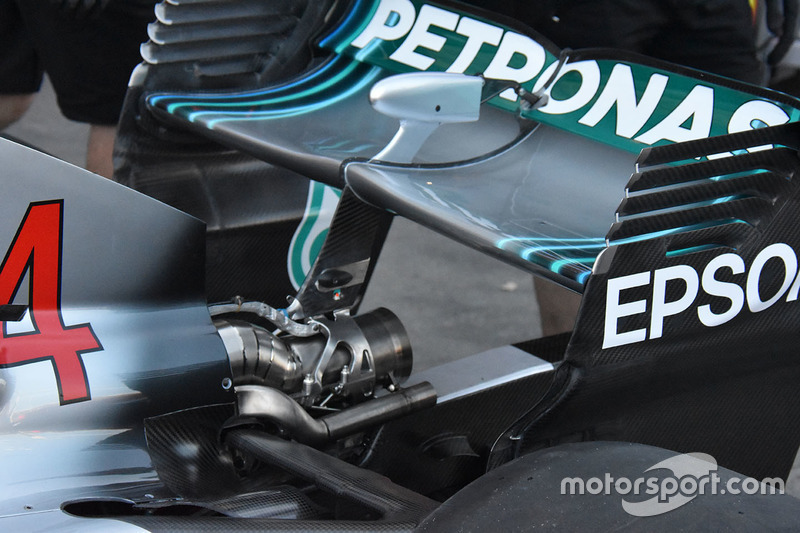 A close up of the W09’s diffuser, note how the outer flaps don’t just envelope its periphery but also arch back too. Note how the flo-viz comes to life when the engineer shines a light on the surface and takes pictures. 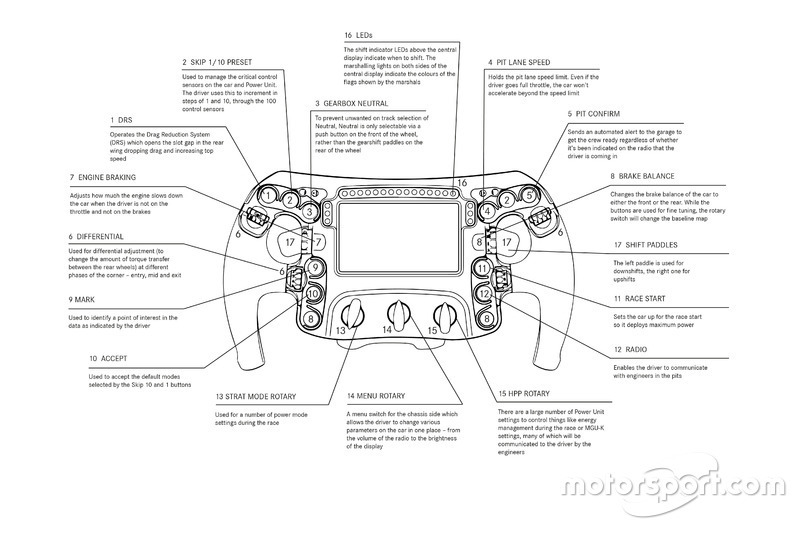 With the covers off some of the power unit’s installation and ancillary details are revealed. 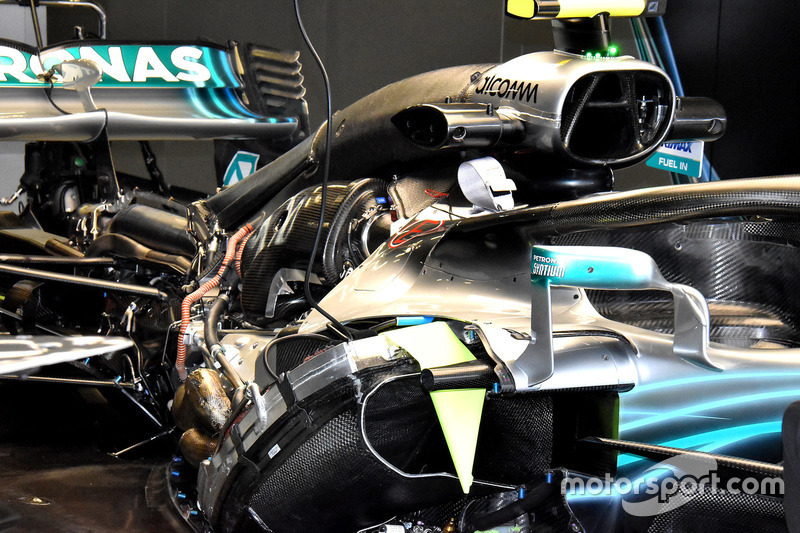 Another angle of the W09 with its covers off. 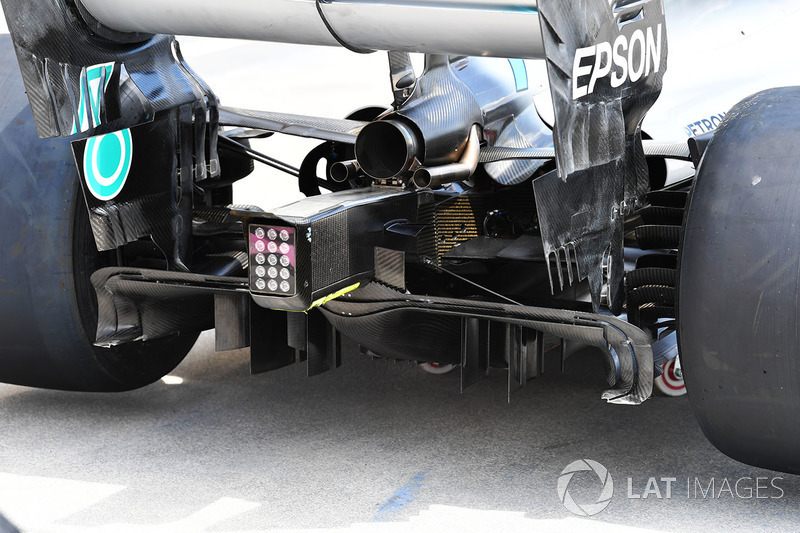 A fantastic view of the W09’s rear end, complete with higher downforce rear wing and the curled diffuser channels. 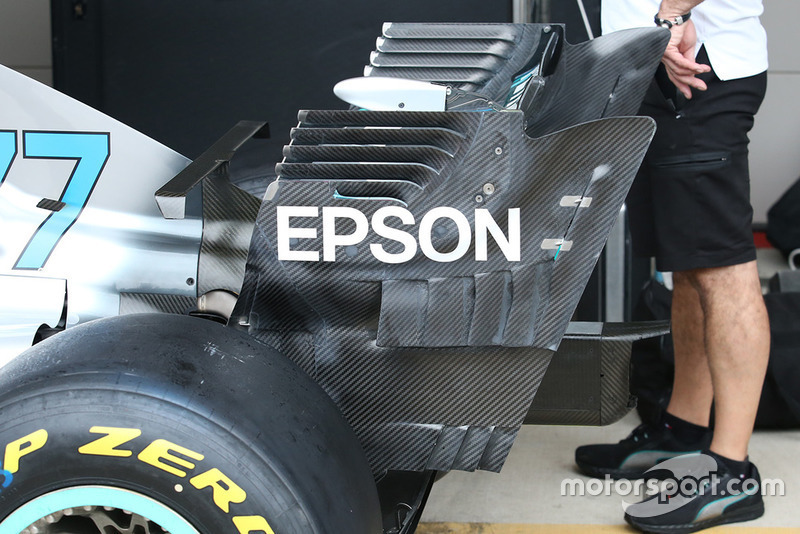 Also note the serrated flap around the crash structure. 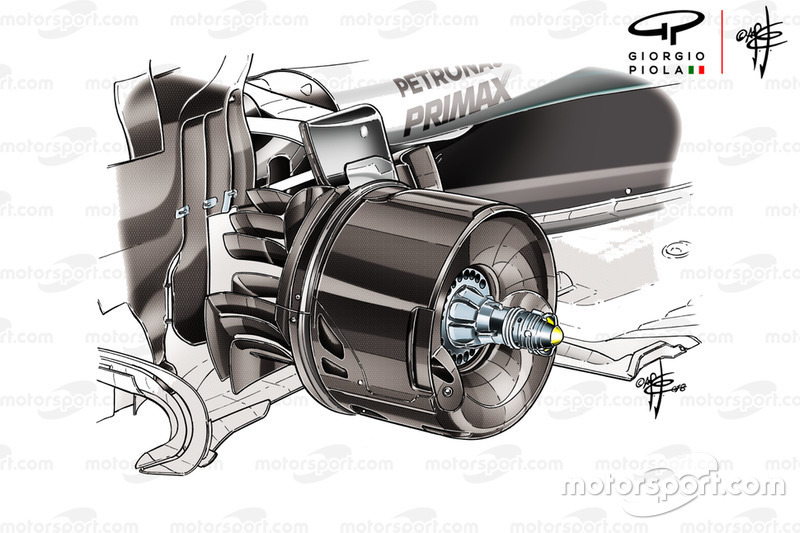 An overview of the W09’s front suspension. 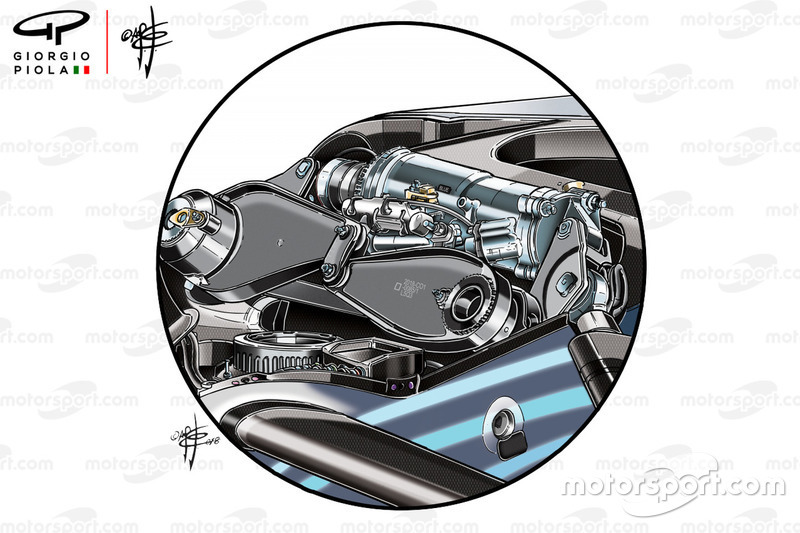 A closer look at the rockers which have been tied together and the hydraulic ‘heave’ damper in the cylinder behind. 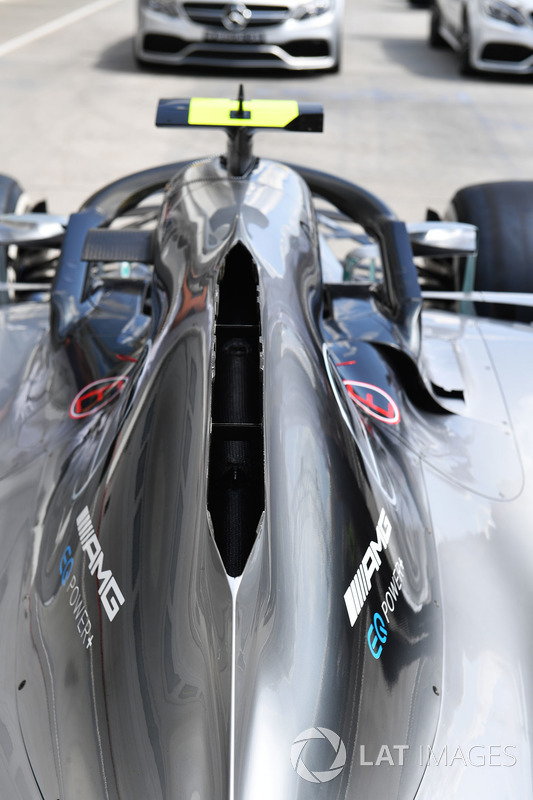 A close up of the rear of the car when sent out without the exhaust fairing on shows how the central pillar envelopes the exhaust, which itself has to go through a few torturous twists and turns. 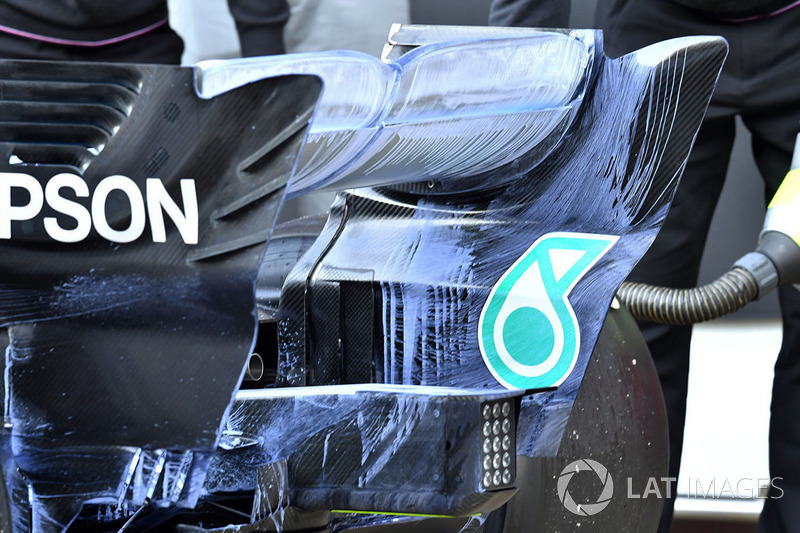 The W09’s rear wing with flo-viz paint applied during pre-season testing. 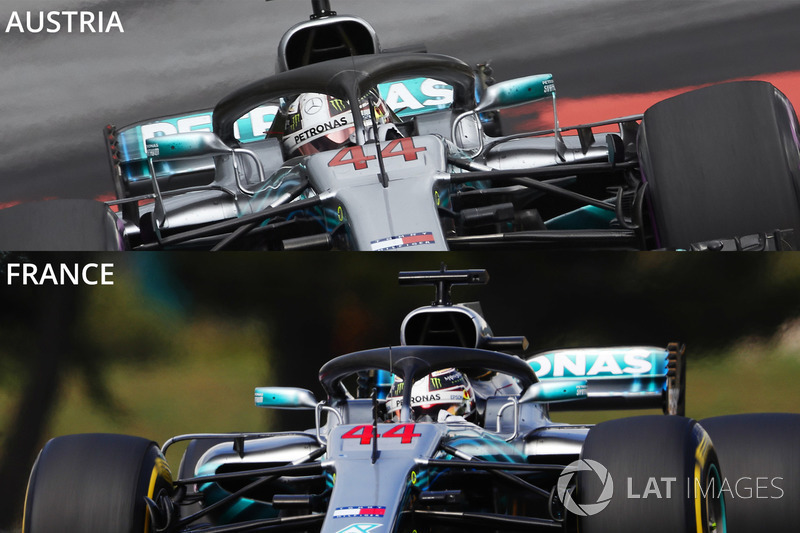 Following on from the exposure and potential protest of Mercedes rear wheel rim trick, the team opted not to fully run the solution at the Brazilian GP, covering some of the holes on the rim’s inner face to prevent the air escaping. These illustrations show the different methodology applied depending on circuit characteristics. 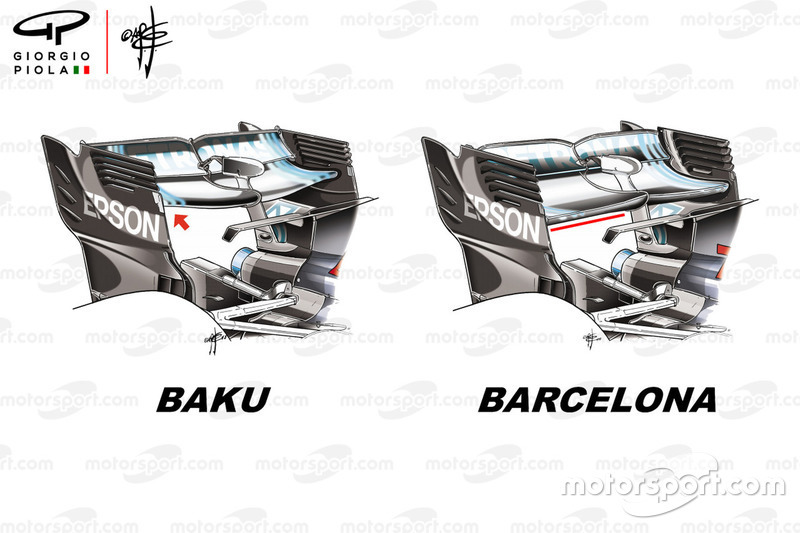 The team used a spoon-style wing at Baku, in order to reduce drag but maintain some balance for the driver, while a conventional shape and high downforce settings were deployed at Barcelona. 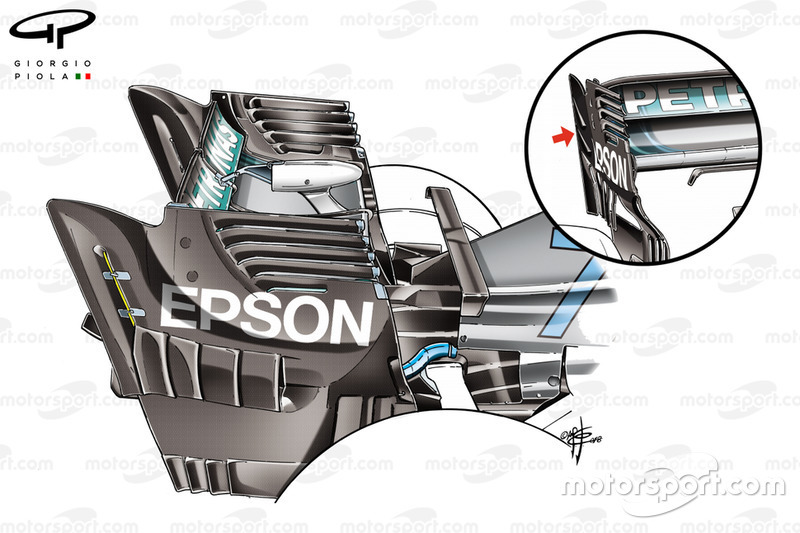 Top-down view of the vortex generators mounted atop the sidepods exclusively for the Monaco GP. 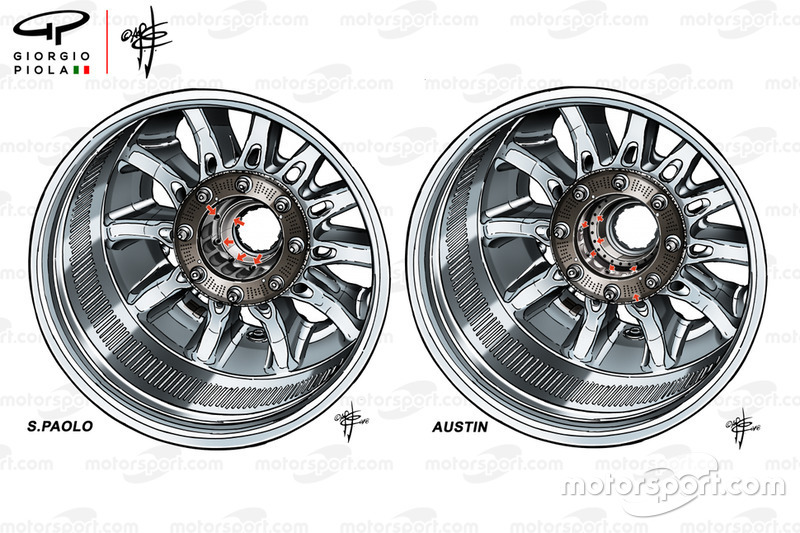 From the Canadian GP we get an insight into how the team make changes to the brake drum to suit different circuit characteristics. 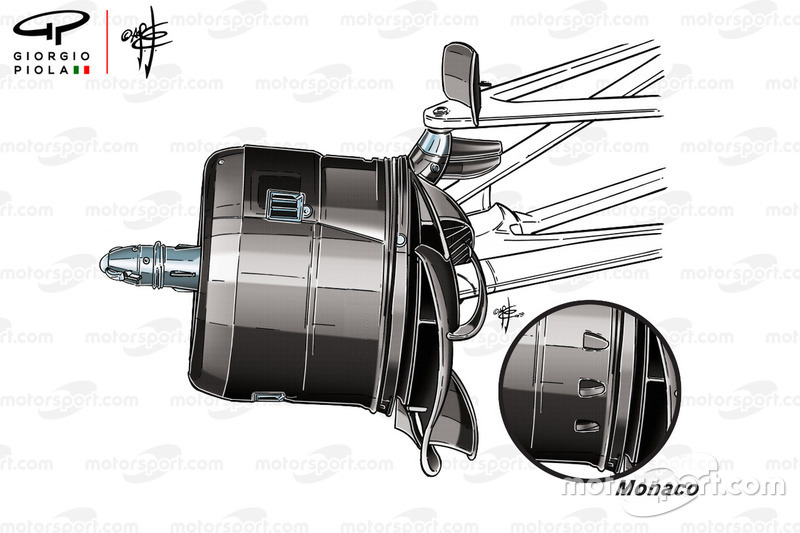 For the French GP the team not only had a new specification power unit but also made a small alteration to the front brake duct, splitting and enlarging one of the winglets mounted upon it. 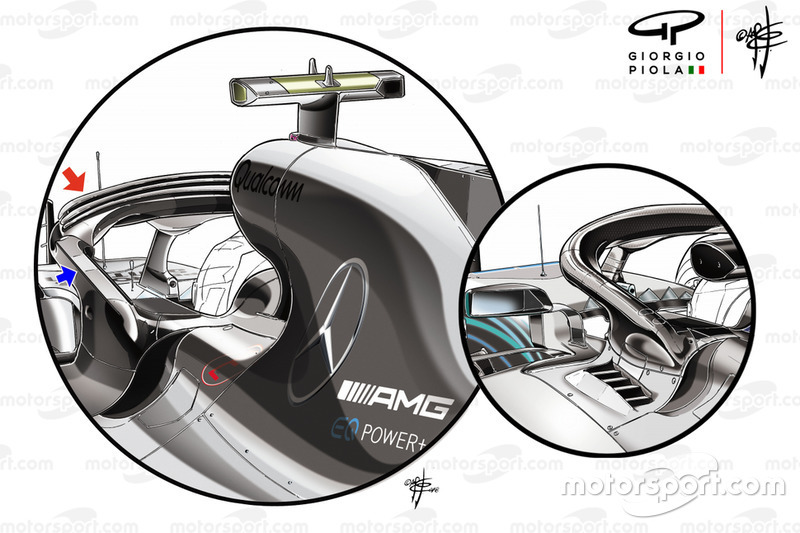 As part of an updated sidepod package the team had new mirrors and supporting stalks in Austria. 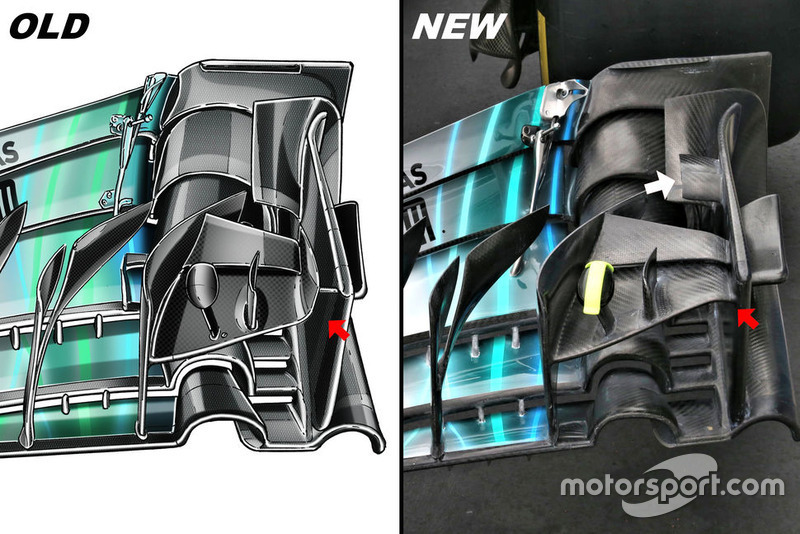 The team also introduced a new rear wing design in Austria, taking cues from the straked endplate design previously used by McLaren. 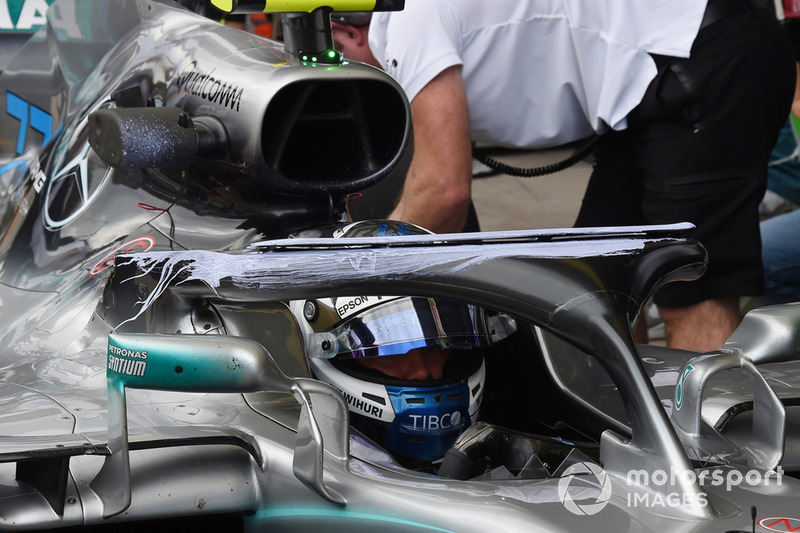 Merc painted flo-viz onto the diffuser during Austrian GP FP3 as they hoped to gather information that could be used back at the factory. 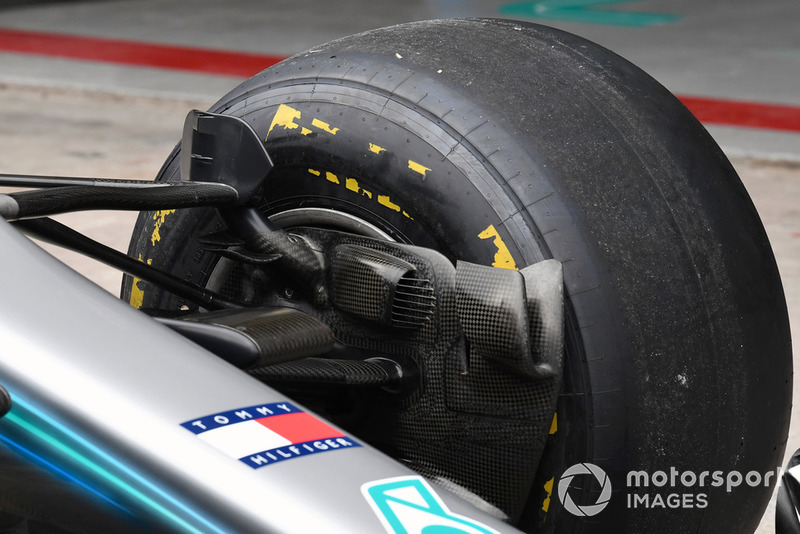 Mercedes introduced a new rear wheel rim design at the Belgian GP, complete with these enlarged fins on the wheel’s outer face. 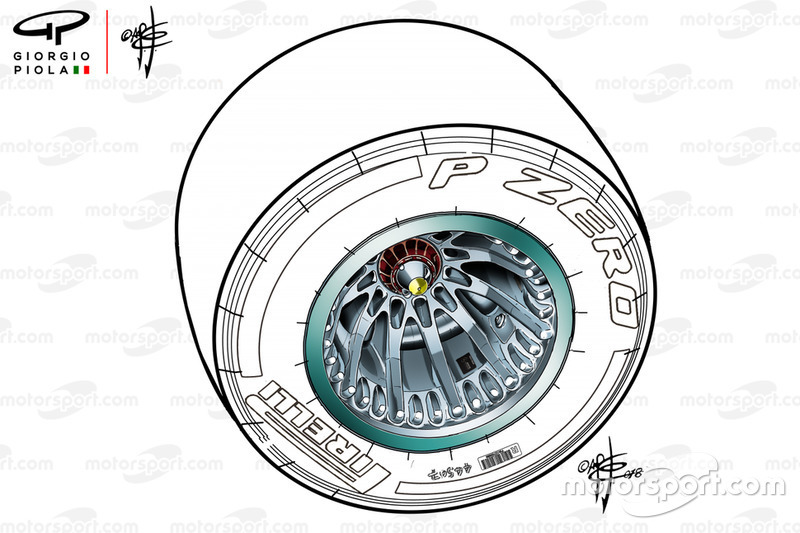 The fins are used to increase the rim’s surface area and help control the temperature of it and the tyre attached. 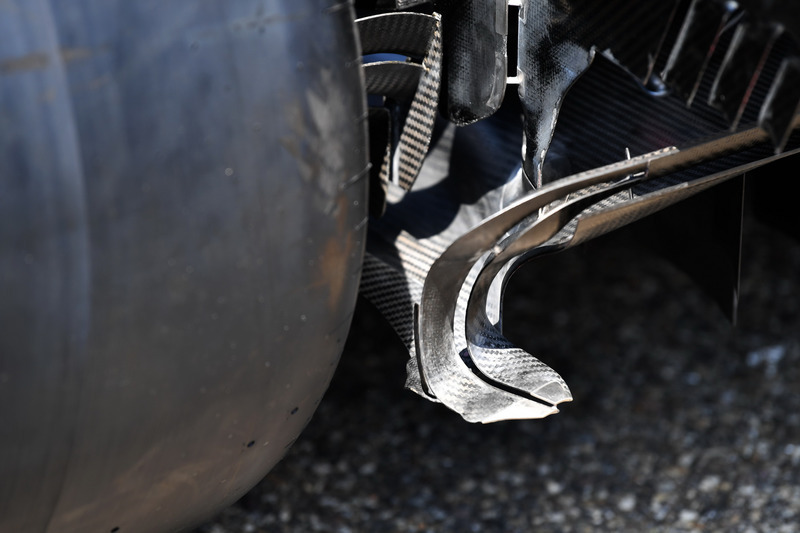 Trialled at the post Hungarian GP test, the team added an extra slotted ‘r’-shaped cascade to the front wing in Belgium. 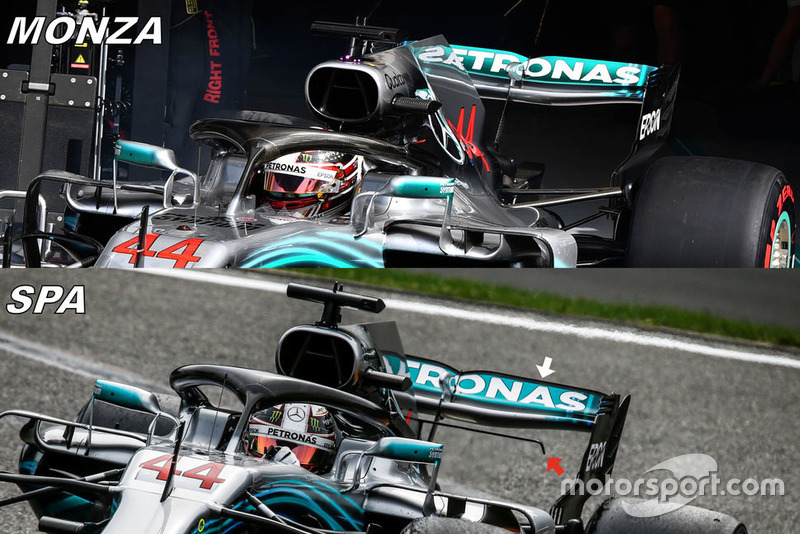 Mercedes ran low downforce rear wings at both Spa and Monza, a comparison of which can be seen here. 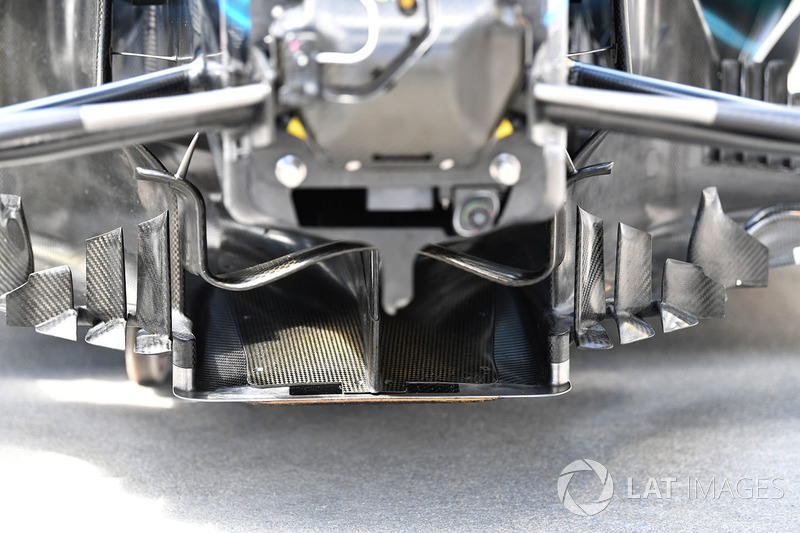 The team made changes to their bargeboards for the Italian GP, as it added some slotted elements on the side of the splitter extension (red arrow), which required the chassis canard above to have some extra slots added into it too (white arrow). 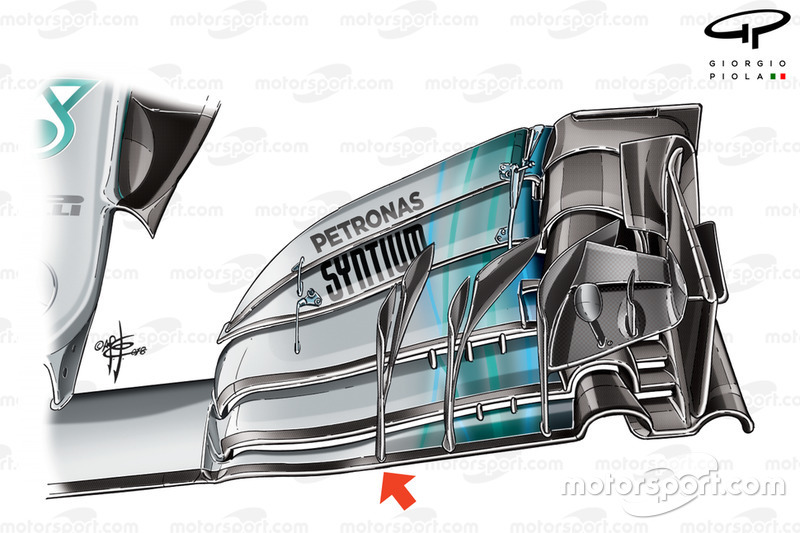 The team had a revised high downforce rear wing for the Singapore GP, which saw the strikes deleted (inset) and an extra long slot added at the rear of the endplate (highlighted in yellow). 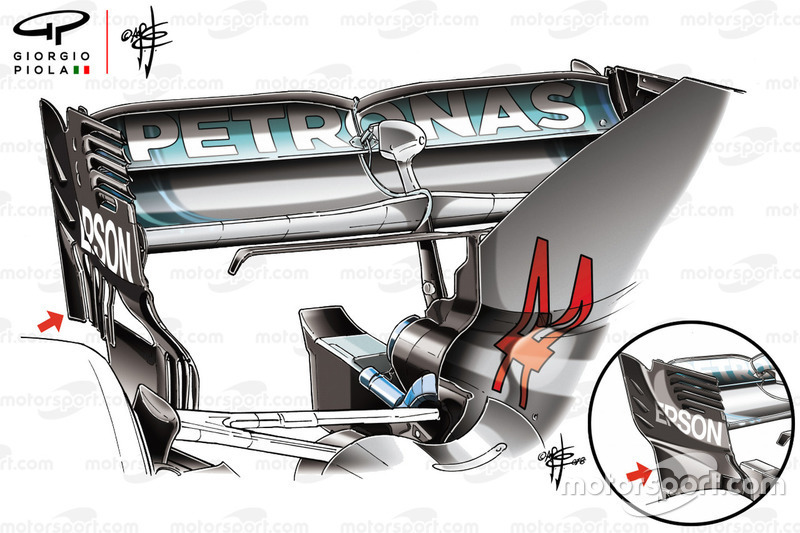 First tested at the Singapore GP, Mercedes latterly raced this three-element winglet atop their halo (red arrow), in combination with the shoulder style upstands it had started to use and continually modified at the British GP (blue arrow). 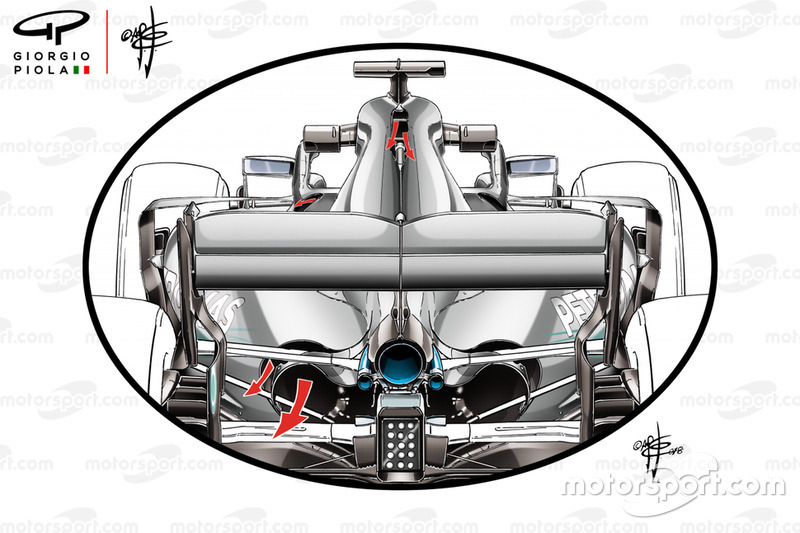 The team trialled a new rear wing pillar configuration in Russia, opting for two swan-neck style pillars, rather than a single under-mounted variant. The pillar test coincided with the team’s movement of the oil vapor pipe (red arrow). 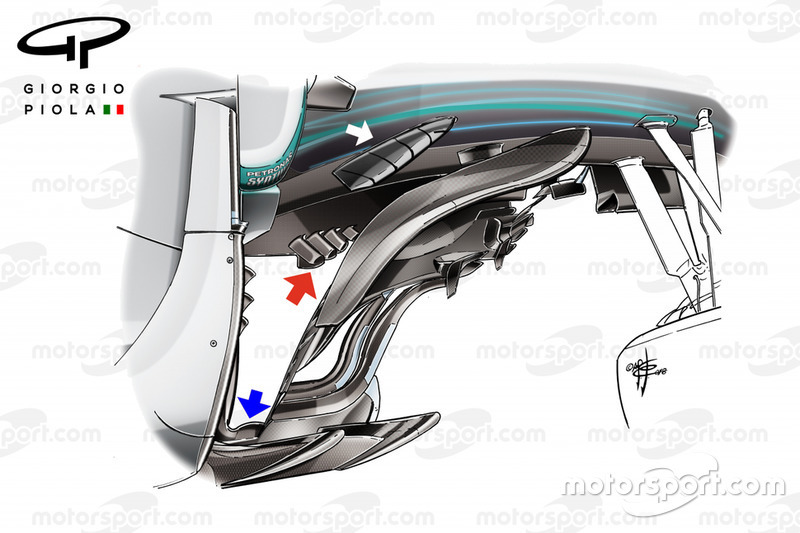 Meanwhile, at the front of the car some revisions were made to the front wing, as a new set of canards were placed on the endplate (white arrow), while the main cascade was bought across to meet the endplate (red arrow). 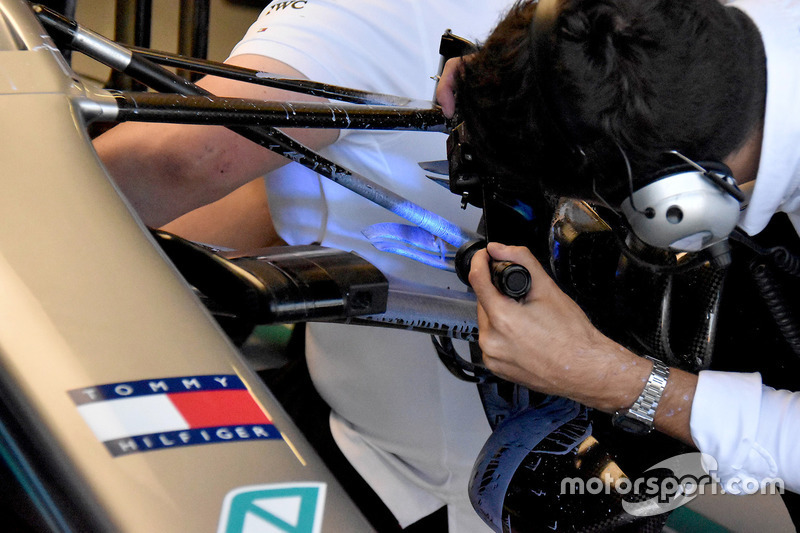 The W09’s rear brake duct assembly. 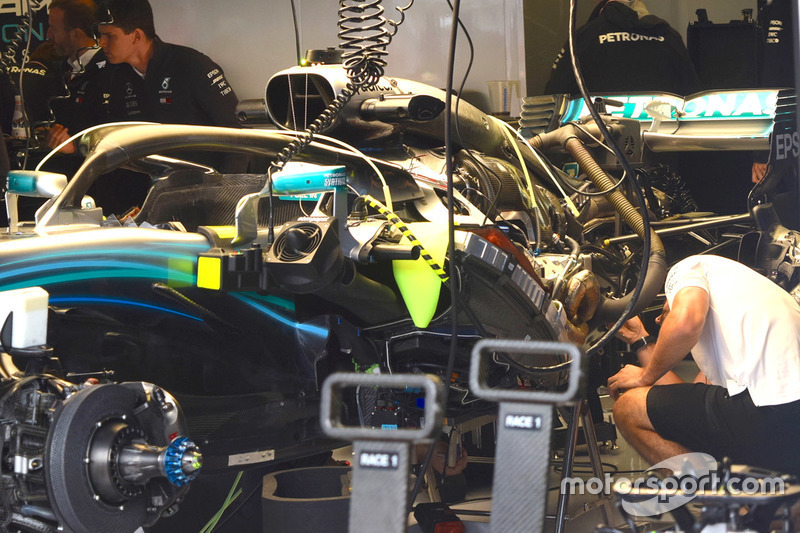 The W09 being prepared on the grid, with various coolers plumbed in, in order to keep temperatures at their optimum. 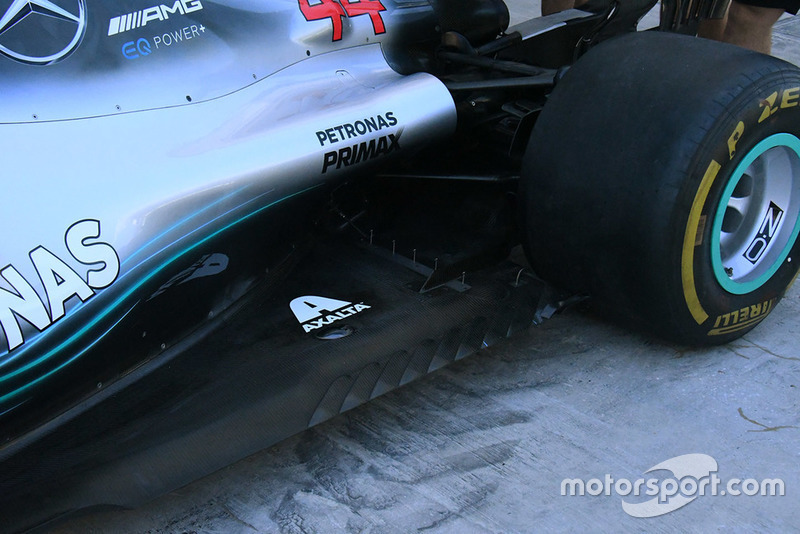 A close up of the higher downforce straked rear wing offering first used by Mercedes in Singapore. This variant does away with the strikes and adds an extra-long slot at the rear of the endplate. 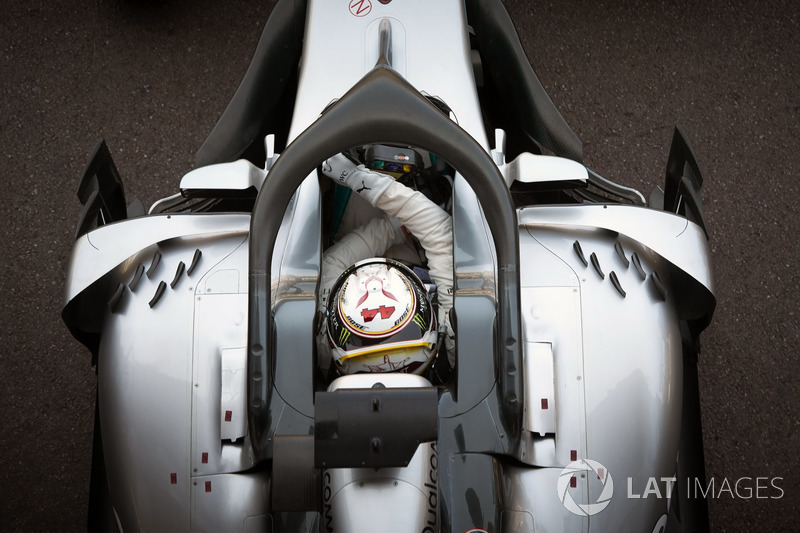 A look at the more expansive cooling options used by Mercedes for the high altitude circuit in Mexico. 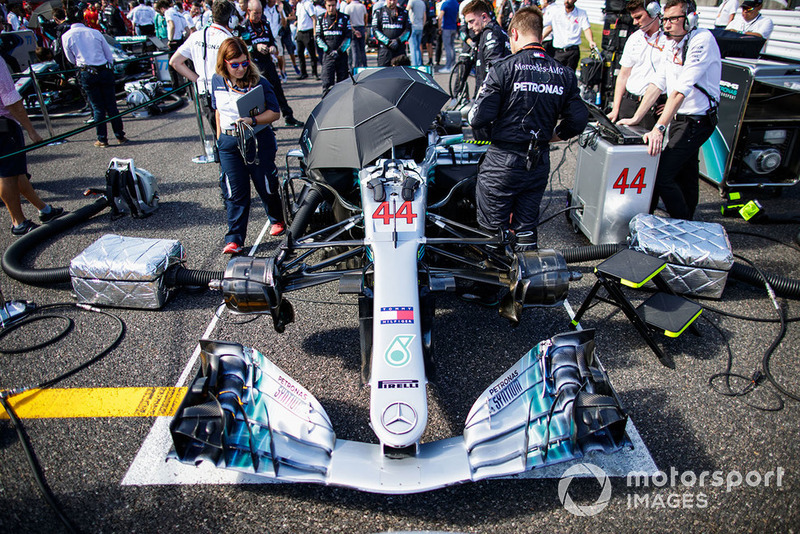 Mercedes mounted a row of pitot tubes on the W09 just ahead of the rear wheel in order that they could collect data on the tyres that Pirelli would trial at the post-season test. 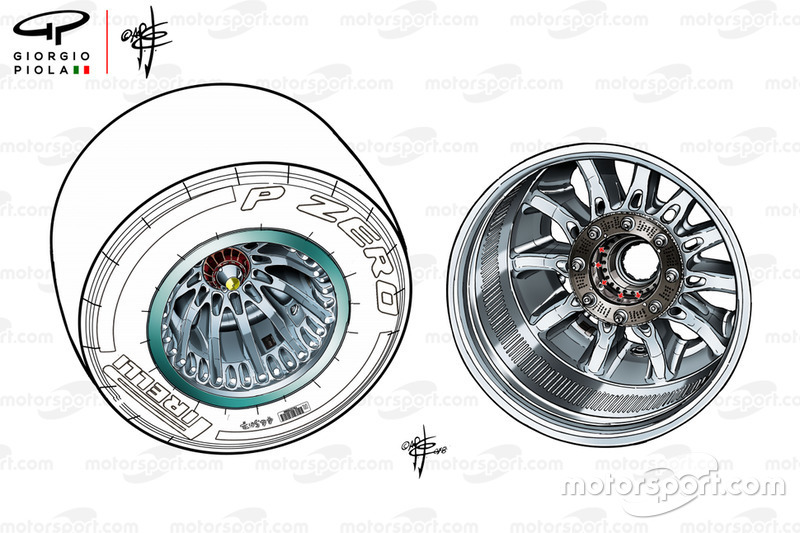 The W09's wheel rim, inside and out. 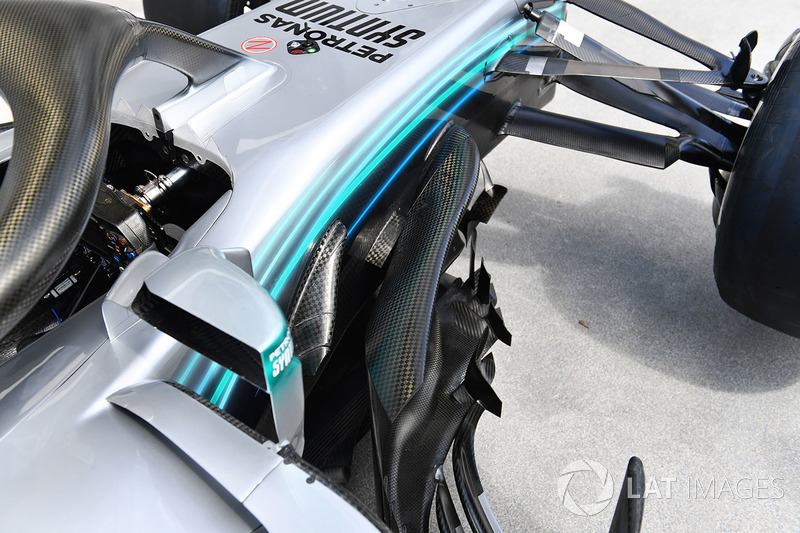 The W09’s front brake duct and suspension with flo-viz applied. 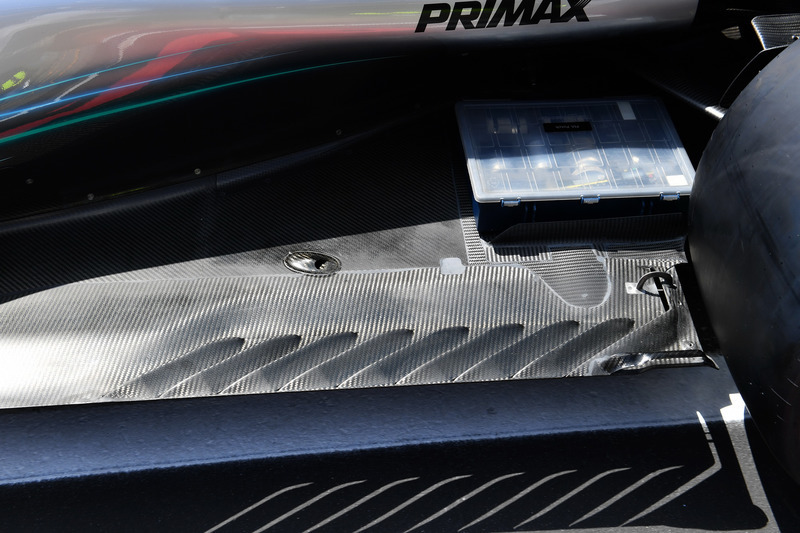 Looking down over the W09’s open-ended chimney style engine cover.